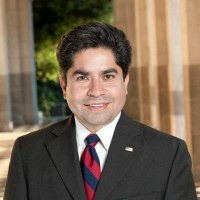 SANTA ANA – The Solorio for State Senate Campaign announced today that after raising more than $300,000 during the recent June Primary time period, it will report a total of $625,211.34 cash-on-hand on its semi-annual campaign finance report which is due on July 31. Former State Assemblyman Jose Solorio is running to replace outgoing State Senator Lou Correa in the 34th State Senate District. 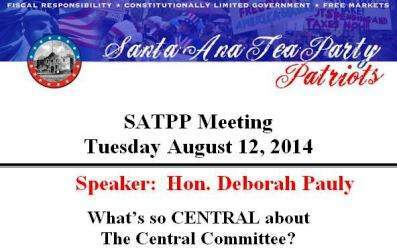 The Santa Ana Tea Party Patriots (SATPP) are hosting a meeting on Tuesday August 12, 2014, from 6:30 to 8 pm at the Green Parrot Villa, located at 2035 N. Main St., across from the MainPlace Mall. (There is public parking on Main St. just south of the 5 Freeway, on the East Side of Main St., within easy walking distance of the Green Parrot Villa). The Speaker will be Hon. Deborah Pauly, a City Councilwoman in Villa Park; a member of the Central Committee, and served in the US Air Force as a Public Affairs Specialist. 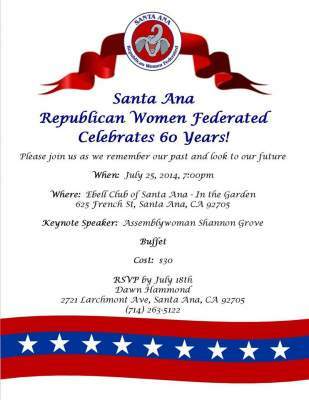 The Santa Ana Republican Women Federated are hosting a celebration of their 60th anniversary tonight, July 25, 2014, at 7 pm, at the Ebell Club of Santa Ana, located at 625 French St. in Santa Ana. Another One-Day Political Leadership School, hosted by Campaign for Liberty, will be held on June 28, 2014, at 9 am in Santa Ana. This is not a class on political philosophy or ideas. This is practical, no nonsense and tested information on how to be effective in politics. Will Bustamante’s new lawyers expose the corruption at the County of Orange? Perhaps he was serious. Young is now one of Carlos Bustamante’s lawyers. You remember Bustamante? 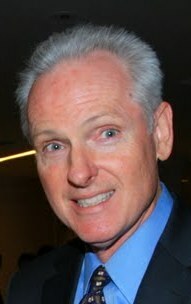 A former Santa Ana Councilman who was brought into the halls of the County of Orange and turned into a darling of the OC GOP? Only to find himself arrested and charged with multiple felonies and misdemeanors stemming from sexual harassment charges? Loretta Sanchez got paid off by big cable and phone companies! It turns out that both Democrats and Republicans are screwing us by siding with the big cable and phone operators who are overcharging us for Internet use and are conspiring to slow down services, such as Netflix, unless they fork over more money. And of course the issue here is campaign contributions from this industry to Congressional representatives including Loretta Sanchez and John Boehner. It’s tempting to think of the network neutrality battle as one fought in Washington along party lines — after all, that’s true of almost everything in the capital. Who are Walker and Nick and why are they carpetbagging in Santa Ana? Who in the world are Sherry Walker and Adam Nick? 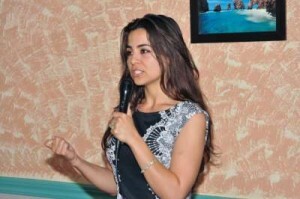 They are Orange County political candidates with minute social media profiles. Nick was elected to the Lake Forest City Council in 2012. He is pictured with his wife Sherry on his Facebook page. But Sherry is running for the 69th Assembly District, which includes parts of Santa Ana and Anaheim, while Nick is running for the 46th Congressional District, which includes the same areas. These are carpetbaggers – the question is who are they and what are the up to? Long Pham, a Republican candidate for the 34th State Senate district is hosting a campaign office Grand Opening and Precinct Walk on Sunday, April 6, 2014, at 10:00 am at 9191 Bolsa Avenue, Ste. 209, in Westminster. Coffee and refreshments will be served. For more information about Long Pham’s campaign for the 34th State Senate District please click here or call 949.500.9887 or 714.727.5805. 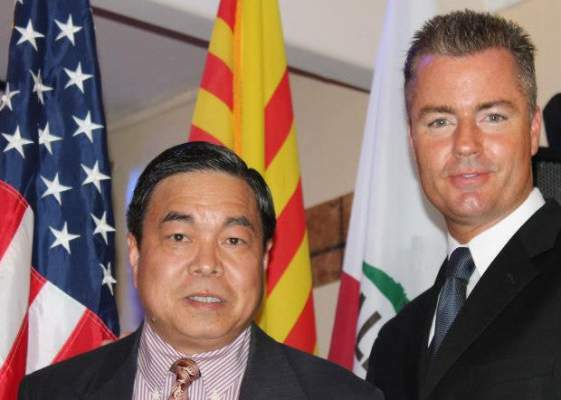 Orange County Supervisor Janet Nguyen was recognized this week as “Local Elected Official of the Year” by the Orange County Republican Party, according to the Voice of OC. Who will you support for the 69th Assembly District in 2014? A restricted fund at the Orange County clerk-recorder’s office was so badly mismanaged under Tom Daly — the former department head and current assemblyman — that millions of dollars in spending cannot yet be legally justified, concludes a county internal audit review released this week, according to the Voice of OC. 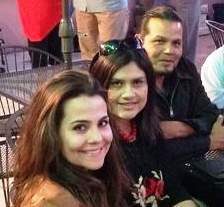 Former Santa Ana Council Candidate Karina Onofre is hosting a meeting of the reopening chapter of the Santa Ana Republican Assembly, on May 1, at 7 pm, at her office, located at 726 S Main St., in Santa Ana, according to her Facebook page. Former State Senator John Lewis has such a hold on the Republican Party of Orange County that he was able to force the withdrawal of Robert Hammond, their candidate for the 69th Assembly District, so as to pave the way for his Democratic pal Tom Daly. And Lewis also ran the failed campaign of Chris Norby, for the 65th Assembly District. With the loss of Norby’s seat, and the 69th, the California Republican Party ceded a supermajority in the State Assembly to the California Democratic Party.